There’s beauty in imperfection. It’s not always about perfect styling, continuous themes or latest trends and we embrace this ethos wholeheartedly. Sometimes it’s about creating a look and feel for your bedroom that’s homely and uncomplicated, but in its un-doneness it has that ‘something’ you can’t quite put your finger on, but it totally draws you in. Everything in this look is understated yet hugely appealing. The centerpiece of any beautiful bedroom is always the bed and our Cameron Bed in Petal Plush Velvet with its straight lines creates a modern, understated cool aesthetic. Dress it with our luxuriously soft 600 thread count Hotel Collection Chrysler Bed Linen in Champagne, which is inspired by the iconic architecture of the Art Deco era and accompanied by a classic Oxford Edge. Velvet cushions and throws provide colour, texture and most importantly, that relaxed styling that we have totally fallen for. 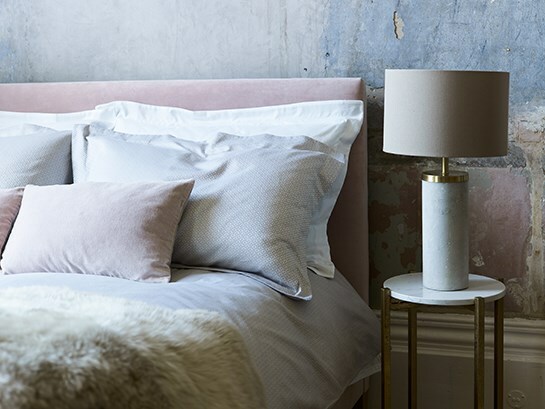 When thinking about creating an uncomplicated and uncluttered bedroom setting, what you do use should be sumptuous and high-quality, such as your bed linen - it will make your bed a centrepiece to be proud of. 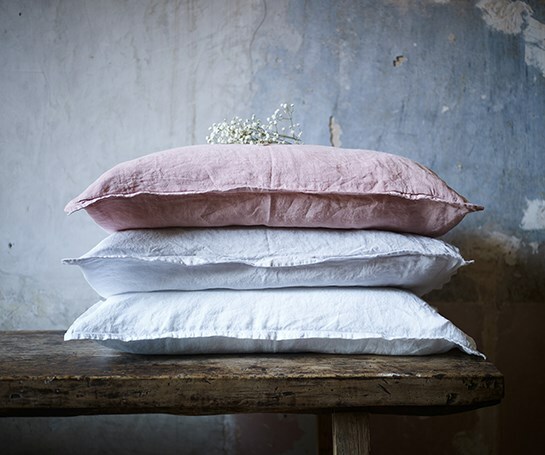 Continuing our perfectly imperfect aesthetic, our 100% linen Camille Bed Linen in Blush Pink is a dream; its true laid-back luxury with a gorgeously relaxed finish (that doesn’t need ironing). A scattering of pillows adds endless, relaxed style to your bedroom and bed, and velvet is the way to go. In a pared-back aesthetic it’s about adding subtle flairs of luxury, and we love accessories that offer focussed accents of soft, warm colours. 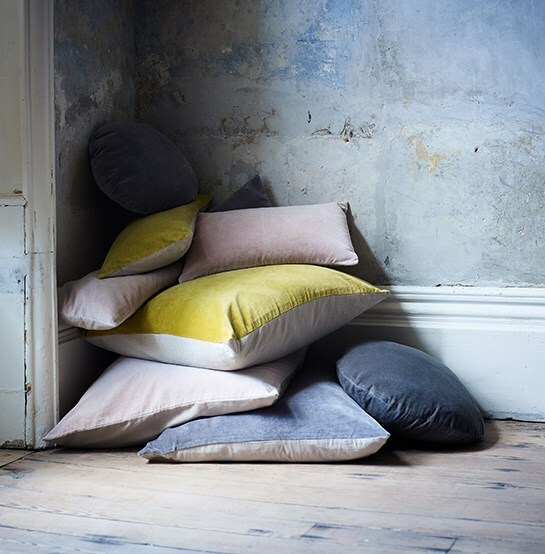 Our velvet cushions feel as good as they look and are immensely stroke-able.